RWE is one of Europe’s leading electricity and gas companies. It’s business portfolio in the UK includes RWE Generation UK and RWE Supply and Trading (RWEST), RWE Generation own and operate around 8,500MW of gas, coal and a small amount of biomass power stations across the UK. 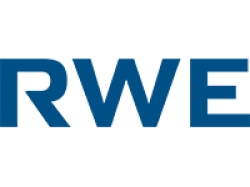 RWEST are a leading European energy trading house, with responsibility for the commercial optimisation of the European gas fleet.